June 13, 2017 ~ NickyB. Summer vacation has begun! We are all very excited to get a break from all of the school work and enjoy a more leisurely schedule -Woo Hoo!! 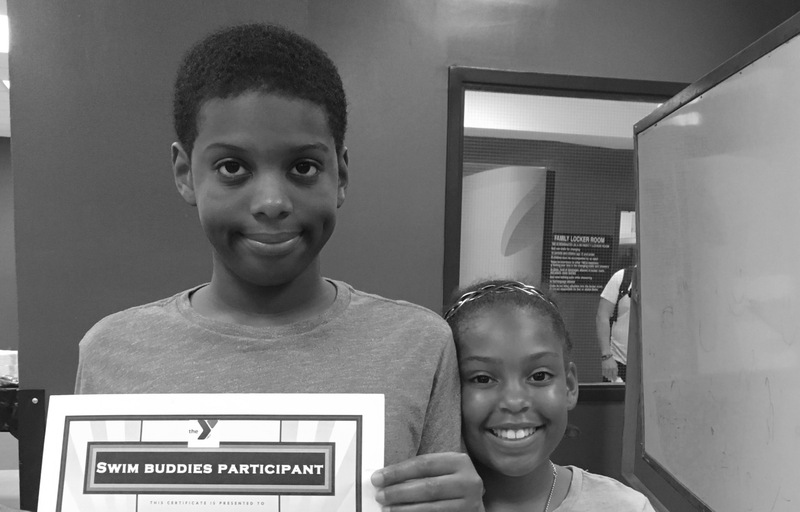 This past weekend, MJ completed another session of Swim Buddies. He swam and played games with certified swim instructors from the YMCA. After they swam, the director had a little ceremony to present the kids with certificates for their attendance. The kids were so proud to receive their certificates and snacks! The awesome thing about this program is that siblings are allowed to participate. My daughter has joined MJ, swimming and playing with the other kids. I will forever be grateful to the YMCA for facilitating these activities for our special needs kids. Lol! That’s EXACTLY what that smile means! That’s so awesome! Go YMCA!!! So glad that he’s participating in swimming. Even cooler that his sister can do it with him! I can just imagine how excited you are to enjoy more time with your children. Summer is a the best time to spend in the pool or sea. Have a great time! Yes we are all very excited to be on break! Lots of pool and beach time ahead 😊.